Azure Queues provides an easy queuing system for cloud-based applications. Queues allow for loose coupling between application components, and applications that use queues can take advantage of features like peek-locking and multiple retry attempts to enable application resiliency and high availability. 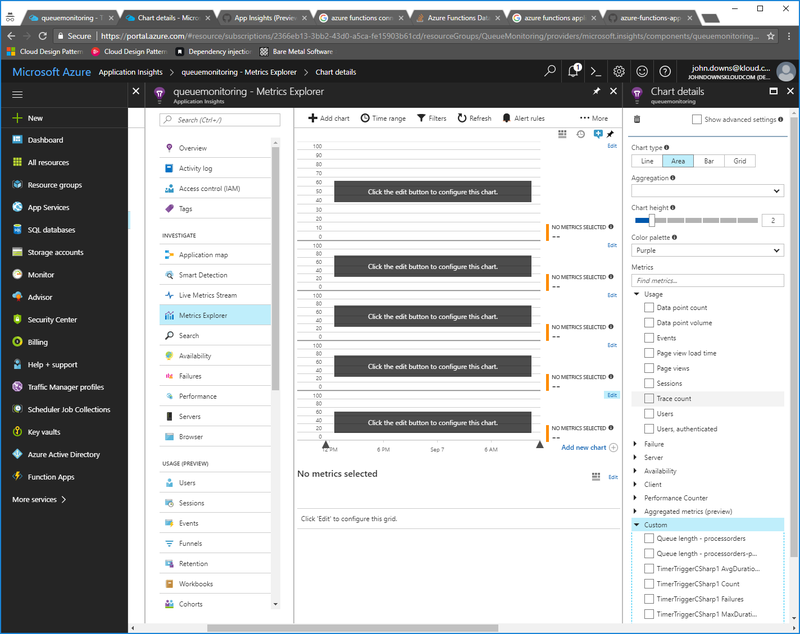 Additionally, when Azure Queues are used with Azure Functions or Azure WebJobs, the built-in poison queue support allows for messages that repeatedly fail processing attempts to be moved to a dedicated queue for later inspection. An important part of operating a queue-based application is monitoring the length of queues. This can tell you whether the back-end parts of the application are responding, whether they are keeping up with the amount of work they are being given, and whether there are messages that are causing problems. Most applications will have messages being added to and removed from queues as part of their regular operation. Over time, an operations team will begin to understand the normal range for each queue’s length. When a queue goes out of this range, it’s important to be alerted so that corrective action can be taken. Azure Queues don’t have a built-in queue length monitoring system. 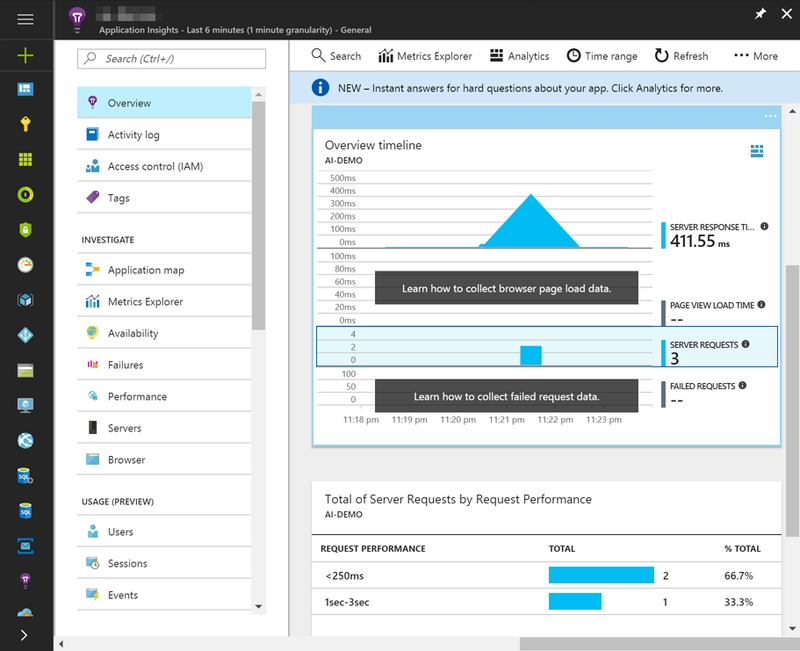 Azure Application Insights allows for the collection of large volumes of data from an application, but it does not support monitoring queue lengths with its built-in functionality. 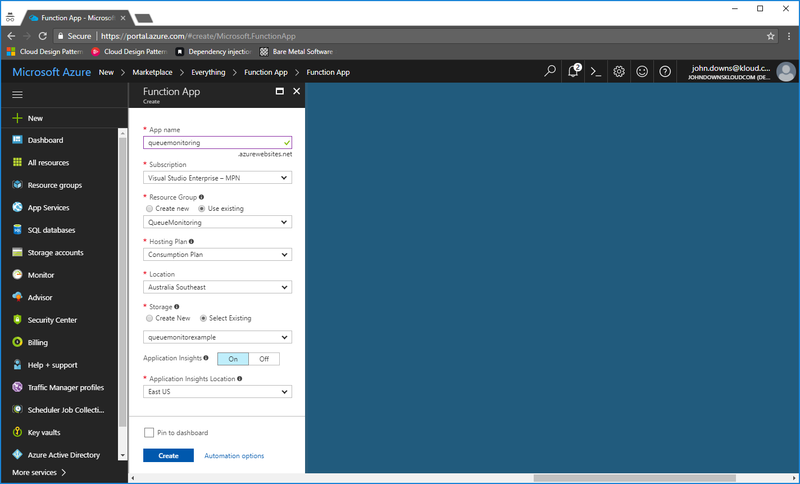 In this post, we will create a serverless integration between Azure Queues and Application Insights using an Azure Function. 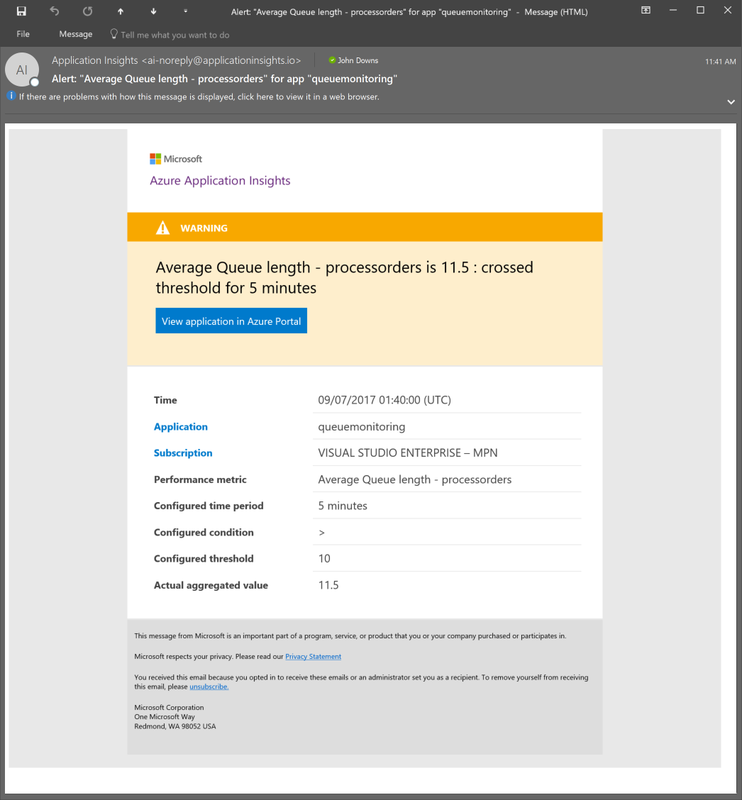 This will allow us to use Application Insights to monitor queue lengths and set up Azure Monitor alert emails if the queue length exceeds a given threshold. 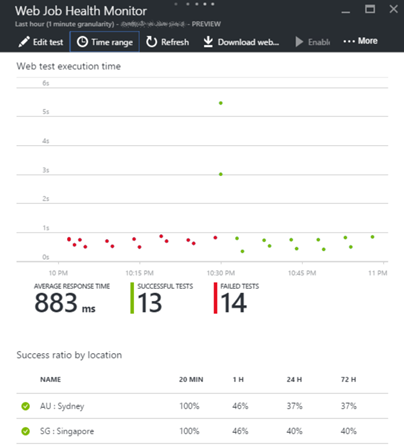 There are several ways that Application Insights could be integrated with Azure Queues. In this post we will use Azure Functions. 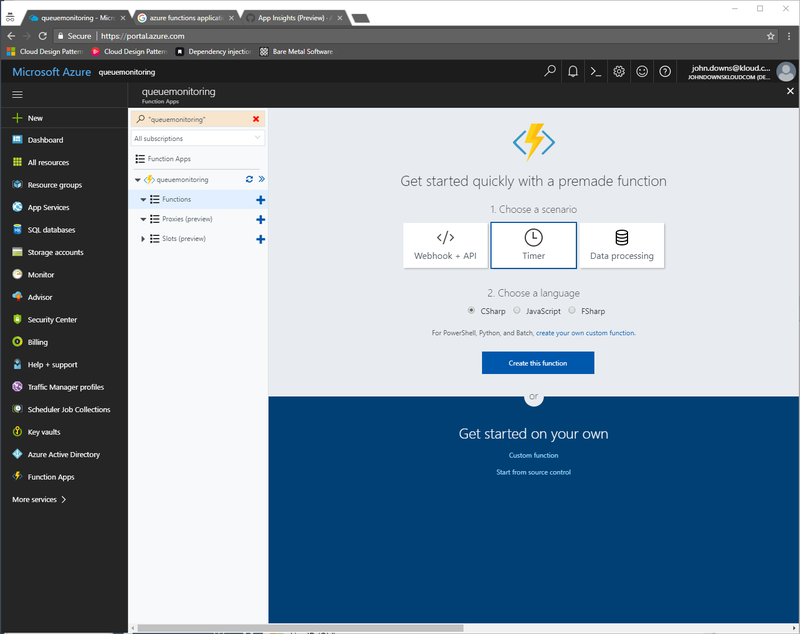 Azure Functions is a serverless platform, allowing for blocks of code to be executed on demand or at regular intervals. We will write an Azure Function to poll the length of a set of queues, and publish these values to Application Insights. 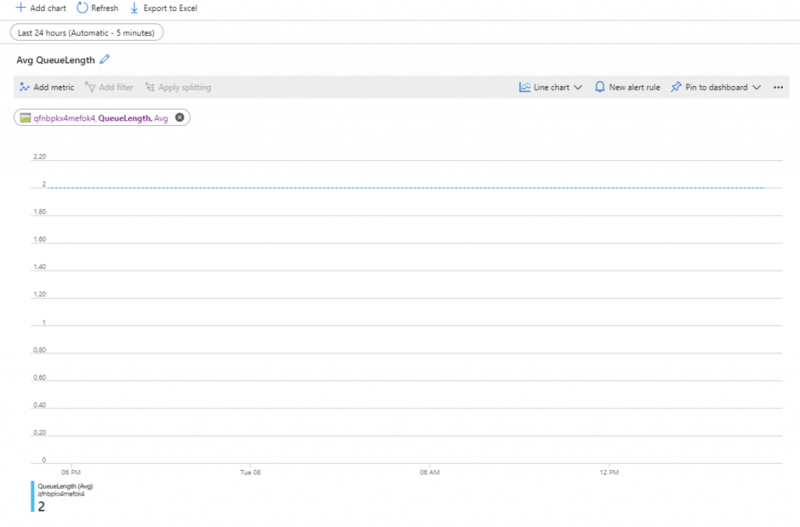 Then we will use Application Insights’ built-in analytics and alerting tools to monitor the queue lengths. For this sample, we will use the Azure Portal to create the resources we need. You don’t even need Visual Studio to follow along. I will assume some basic familiarity with Azure. processorders: this is a queue that an API publishes to, and a back-end WebJob reads from the queue and processes its items. The queue contains orders that need to be processed. processorders-poison: this is a queue that WebJobs has created automatically. Any messages that cannot be processed by the WebJob (by default after five attempts) will be moved into this queue for manual handling. Next, we will create an Azure Functions app. When we create this through the Azure Portal, the portal helpfully asks if we want to create an Azure Storage account to store diagnostic logs and other metadata. We will choose to use our existing storage account, but if you prefer, you can have a different storage account than the one your queues are in. Additionally, the portal offers to create an Application Insights account. We will accept this, but you can create it separately later if you want. Once all of these components have been deployed, we are ready to write our function. Now we can write an Azure Function to connect to the queues and check their length. Open the Azure Functions account and click the + button next to the Functions menu. Select a Timer trigger. We will use C# for this example. Click the Create this function button. By default, the function will run every five minutes. That might be sufficient for many applications. If you need to run the function on a different frequency, you can edit the schedule element in the function.json file and specify a cron expression. Azure Functions has an application setting called AzureWebJobsStorage. By default this refers to the storage account created when we provisioned the functions app. If you wanted to monitor a queue in another account, you could reference the storage account connection string here. When you obtain a reference to a queue, you must explicitly fetch the queue attributes in order to read the ApproximateMessageCount. As the name suggests, this count may not be completely accurate, especially in situations where messages are being added and removed at a high rate. For our purposes, an approximate message count is enough for us to monitor. For now, this line will let us view the length of the queues within the Azure Functions log window. Later, we will switch this out to log to Application Insights instead. Now we have our function polling the queue lengths. The next step is to publish these into Application Insights. Azure Functions has integration with Appliation Insights for logging of each function execution. In this case, we want to save our own custom metrics, which is not currently supported by the built-in integration. Thankfully, integrating the full Application Insights SDK into our function is very easy. This adds a NuGet reference to the Microsoft.ApplicationInsights package, which allows us to use the full SDK from our function. This sets up an Application Insights TelemetryClient instance that we can use to publish our metrics. Note that in order for Application Insights to route the metrics to the right place, it needs an instrumentation key. Azure Functions’ built-in integration with Application Insights means that we can simply reference the instrumentation key it has set up for us. If you did not set up Application Insights at the same time as the function app, you can configure this separately and set your instrumentation key here. Now we can publish our custom metrics into Application Insights. Note that Application Insights has several different types of custom diagnostics that can be tracked. In this case, we use metrics since they provide the ability to track numerical values over time, and set up alerts as appropriate. We have added the following line to our foreach loop, which publishes the queue length into Application Insights. Click Save and run. Once the function executes successfully, wait a few minutes before continuing with the next step – Application Insights takes a little time (usually less than five minutes) to ingest new data. 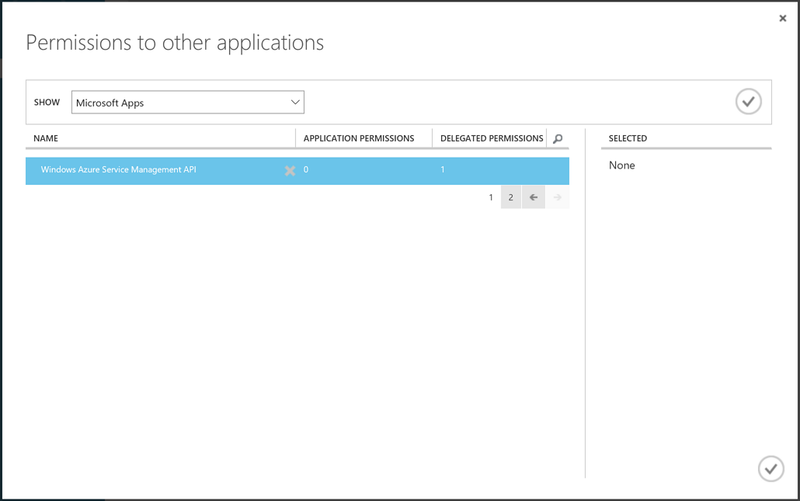 In the Azure Portal, open your Application Insights account and click Metrics Explorer in the menu. Then click the + Add chart button, and expand the Custom metric collection. You should see the new queue length metrics listed. Select the metrics, and as you do, notice that a new chart is added to the main panel showing the queue length count. In our case, we can see the processorders queue count fluctuate between one and five messages, while the processorders-poison queue stays empty. Set the Aggregation property to Max to better see how the queue fluctuates. You may also want to click the Time range button in the main panel, and set it to Last 30 minutes, to fully see how the queue length changes during your testing. Now that we can see our metrics appearing in Application Insights, we can set up alerts to notify us whenever a queue exceeds some length we specify. For our processorders queue, this might be 10 messages – we know from our operations history that if we have more than ten messages waiting to be processed, our WebJob isn’t processing them fast enough. For our processorders-poison queue, though, we never want to have any messages appear in this queue, so we can have an alert if more than zero messages are on the queue. Your thresholds may differ for your application, depending on your requirements. Name: Use a descriptive name here, such as `QueueProcessOrdersLength`. Metric: Select the appropriate `Queue length – queuename` metric. Condition: Set this to the value and time period you require. In our case, I have set the rule to `Greater than 10 over the last 5 minutes`. Notify via: Specify how you want to be notified of the alert. Azure Monitor can send emails, call a webhook URL, or even start a Logic App. In our case, I have opted to receive an email. Monitoring the length of your queues is a critical part of operating a modern application, and getting alerted when a queue is becoming excessively long can help to identify application failures early, and thereby avoid downtime and SLA violations. 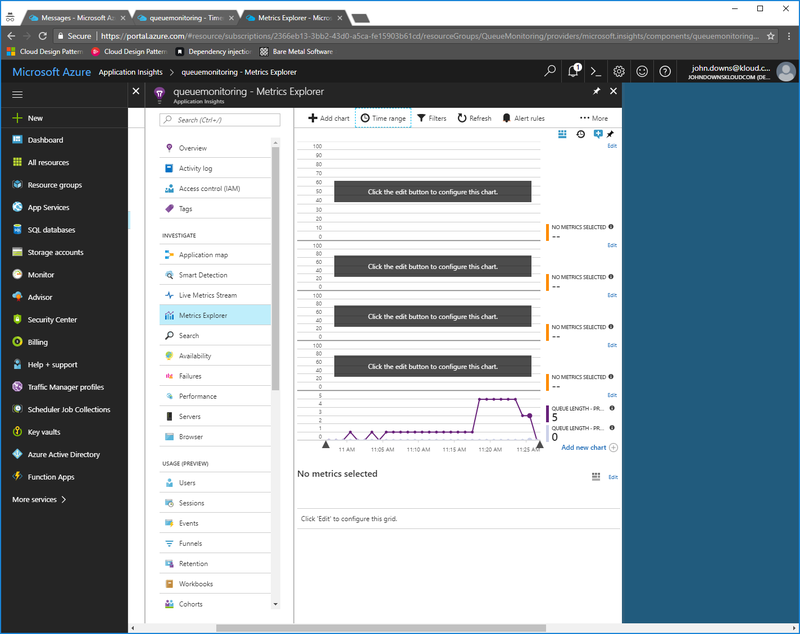 Even though Azure Storage doesn’t provide a built-in monitoring mechanism, one can easily be created using Azure Functions, Application Insights, and Azure Monitor. We’re going to have a look at several ways to integrate Application Insights (AppInsights) with Azure Functions (Functions). However, it has the maximum limit of 1000 records. This is good for simple debugging purposes, but not for logging. Therefore, we should store logs somewhere like database or storage. Fortunately, AppInsights has recently been consolidated to Functions as a preview to overcome these limitations. Let’s have a look. According to the document, it’s really easy. Create an AppInsights instance. Its type MUST be General. Add a new key of APPINSIGHTS_INSTRUMENTATIONKEY to the AppSettings section of the Function instance. Give the Instrumentation Key value of the AppInsights instance to the key, APPINSIGHTS_INSTRUMENTATIONKEY. As we can see above, we can directly pour the Instrumentation Key within the ARM template without knowing it. If we want to know more about ARM template, this official document would be a good starting point. ILogger is a library of ASP.NET Core. As it supports .NET Standard 1.1, Functions has recently introduced ILogger version 1.1.1. With this, we can virtually add as many logging libraries as possible. Functions provides AppInsights logging through this interface. In other words, we can simply replace the TraceWriter instance with the ILogger one, in order to send all loggings to AppInsights. As mentioned above, Functions has implemented the ILogger interface. That means, we might be able to add third-party logging libraries such as Serilog. Unfortunately, at the time of writing, we can’t use those third-party ones. But the Azure Functions Team has started looking at those implementation, according to this issue. Hope this feature is released soon. Another known issue around the ILogger implementation on Functions is that the Azure Functions Core Tools that helps local debugging doesn’t display log to the console. So, don’t panic, even if no log is displayed on your local console. It displays as expected when you deploy your Functions to Azure. The Azure Functions Team works really hard to fix the issue sooner rather than later. So far, we have walked through a few ways to integrate AppInsights with Azure Functions. As it’s still in preview, features around this may change over time until GA. But I’m pretty sure that this logging integration to AppInsights will be quite useful and powerful. Azure WebJobs have been available for quite some time and have become very popular for running background tasks with programs or scripts. WebJobs are deployed as part of Azure App Services (Web Apps), which include their companion site Kudu. Kudu provides a lot of features, including a REST API, which provides operations for source code management (SCM), virtual file system, deployments, accessing logs, and for WebJob management as well. The Kudu WebJobs API provides different operations including listing WebJobs, uploading a WebJob, or triggering it. One of the operations of this API allows to get the status of a specific WebJob by name. Another quite popular Azure service is Application Insights. This provides functionality to monitor and diagnose application issues and to analyse usage and performance as well. One of these features are web tests, which provide a way to monitor the availability and health of a web site. In this blog post I will go through the required configuration on Application Insights to monitor the health of WebJobs using Application Insights web tests calling the Kudu WebJobs API. Calling the Kudu WebJobs API. For this exercise, it is worth getting familiar with the WebJobs API, particularly with the endpoint to get a WebJob status. Through this post, I will be working with a triggered WebJob scheduled with a CRON expression, but you can apply the same principles for a continuous WebJob. I will be using postman to call this API. Before calling the endpoint, we need to add the Authorization header to the GET request. To create the header value, we need to use the corresponding Kudu API credentials, as explained here. Considering we want to monitor the status of a WebJob under a particular web site, I prefer to use site-level credentials (or publishing profile credentials) instead of the user-level ones. You can get the publishing profile credentials, by downloading the publishing profile from the portal, as shown in the figure below. Once downloaded, the XML document will contain the site-level credentials. We can also get the site-level credentials via PowerShell. I’ve created a PowerShell function which returns the publishing credentials of an Azure Web App or a Deployment Slot, as shown below. Bear in mind that you need to be logged in to Azure in your PowerShell session before calling these cmdlets. Once we have the credentials, we are able to get the Authorization header value. The instructions to construct the header are described here. I’ve created another PowerShell function, which relies on the previous one, to get the header value, as follows. Once we have the header value, we can call the api. Let’s call it using postman. Note that for this triggered WebJob, there are status and duration fields. Now that we are familiar with the response, we can start designing an App Insights web test to monitor the health of our WebJob. You can find here detailed documentation on how to create web tests to monitor availability and responsiveness of web end points. In the following sections of this post, I will cover how to create an App Insights web test to Monitor the Health of a WebJob. As we saw above, to call the WebJobs API we need to add an Authorization Header to the GET request. And once we get the API response, to check the status of the WebJob, we would need to interpret the response in JSON format. To create the web test on App Insights to monitor a WebJob, I will first create a simple web test via the Azure Portal, and enrich it later. Creating a Web Test on Application Insights. You could also keep email alerts disabled or configure them later. If you enable the web test as is, you will see that it will start failing. The reason being that we are not adding the required Authorization header to the GET request. To add headers to the test, you could record web tests on Visual Studio Enterprise or Ultimate. This is explained in details in the Azure documentation. Additionally, in these multi-steps web tests you can add more than one validation rule. Knowing that not everybody has access to a VS Enterprise or Ultimate license, I will explain here how to create a web test using the corresponding XML format. The first step is to extract the web test XML definition from the test manually created on the portal. Extracting the Web Test XML Definition from a Test Manually Created on the Portal. 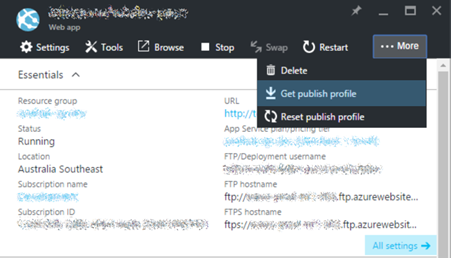 Once we have created the web test manually on the portal, to get its XML definition, we have to open the resource explorer on https://resources.azure.com/ and navigate to subscriptions/<subscription-guid>/resourceGroups/<resourcegroup>/providers/microsoft.insights/webtests/<webtest>-<app-insight> until you are on the definition of the web test you have just created. which is the XML definition of the web test we created manually on the portal. Adding a Header to the Application Insights Web Test Request by updating the Web Test XML definition. Now we should be ready to edit our web test XML definition to add the Authorization header. To do this, we just need to add a Headers child element to the Request record, similar to the one shown below. You would need to get the Base 64 encoded Authorization header value, similarly to how we did it previously when calling the API via Postman. Extending the Functionality of the Web Test. You could play around with the web test XML definition and update or extend it according to your needs. In case you are interested on the capabilities of web tests, here the documentation. Once our web test XML definition is ready, we save it with a “.webtest” extension. Upload the web test xml definition file we just saved with the “.webtest” extension. This will update the web test, and now with the proper Authorization header and the added validation rules, we can monitor the health of our triggered WebJob. With Application Insights web tests, we can monitor the WebJob via the dashboard as shown above, or configuring alerts to be sent via email. How to call the Azure WebJobs API via Postman, including how to get the Kudu API Authorization header via PowerShell. 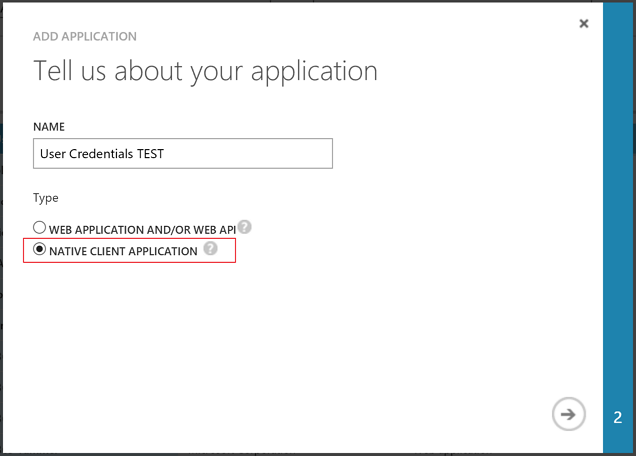 How to update the Application Insights web test by uploading the updated multi-step web test file. Azure SDK for .NET provides very useful features to deal with Azure services and resources including Application Insights. With this SDK, we can easily create or update resources for Application Insights and alerts. However, surprisingly this SDK doesn’t provide creating Web Tests resources to check availability. In this post, we will walk through how to create web tests programmatically using C# codes. 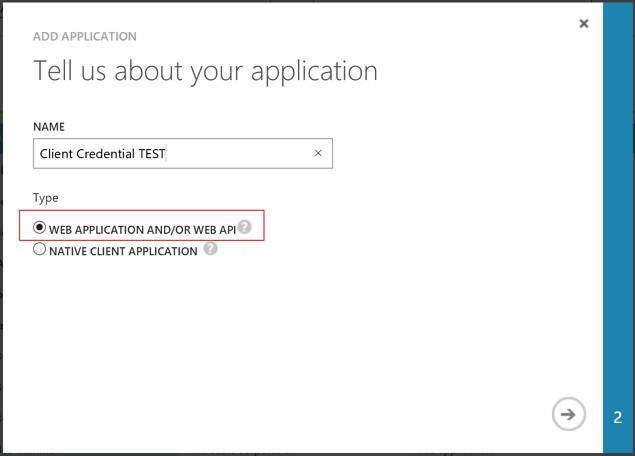 Once an Application Insights instance is created in Azure Portal, we can easily create web tests by following this post, Monitor availability and responsiveness of any web site. This is pretty straightforward, so we’re not going to do here. The problem using the approach above is that we should manually create or update web tests through Azure Portal. With PowerShell script, we can easily create or update web tests by following this post, Creating an Application Insights Web Test and Alert Programmatically. This is also quite clear to understand, so we’re not dealing it with here. There’s a question still left. How can I create or update web tests and alerts using C# codes? This part has not been yet supported. Of course we can, but not that as easy as others. Let’s sort this out. Code used in this post can be found at https://github.com/aliencube/Application-Insights-WebTests-SDK. This is how a web test resource looks like. From this JSON object, we need to create strongly-typed object classes. Let’s say this is called WebTestResource that inherits GenericResource. This is a basic structure. It needs to implement the Properties property. Currently the web test resource supports both URL ping test and multi-step test. We’re only dealing with URL ping test in this post. So, we’re creating the PingWebTestProperties class inheriting the WebTestProperties class. Note that WebTestProperties has an implicit operator that automatically convert the object to serialised JSON string. This is because GenericResource.Properties takes serialised JSON string value. If you’re not familiar with implicit operator, this MSDN document will give you an insight. This time, we just use an extension method, ToXml(), but we can of course implement the same implicit operator for XML serialisation. We’ve now got a strongly-typed object to create or update web test. Let’s move onto the next step. Azure SDK has ResourceManagementClient to handle Azure resources. With this, we can simply call the method to create a web test resource. If the resource has been successfully created or updated, the result will return HttpStatusCode.Ok (200) or HttpStatusCode.Created (201). If you have a question around credentials, it’s worth noting the following part. It’s entirely up to the business decision that we should use either ClientCredential or UserCredential to access to the ResourceManagementClient object. If we need users to provide their username and password, we should use UserCredential; otherwise we should use ClientCredential. In either case, we should register an application to Azure Active Directory (AAD). Using ClientCredential requires ClientId and ClientSecret. Therefore, when we register an application to AAD, we should choose the WEB APPLICATION AND/OR WEB API option. Additional information: AADSTS90014: The request body must contain the following parameter: ‘client_secret or client_assertion’. Hence, we need to register another application to AAD with the option of NATIVE CLIENT APPLICATION. So far, we’ve looked through how we can create a web test resource for Application Insights programmatically, using C# codes. Even though this post only dealt with a URL ping test, same approach can be used for multi-step test resources. If this is something you are interested in, this NuGet package is for you. 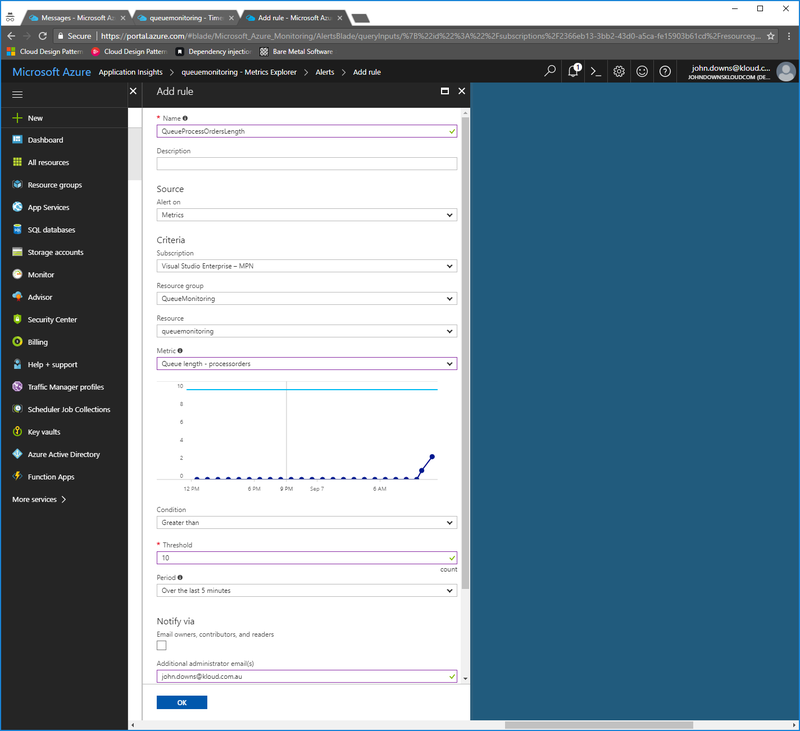 Azure Application Insights (AI) is a great instrumentation tool that can help you learn about how your application is doing during run-time. It is currently in Preview mode, so bear that in mind when developing production ready apps. It gives you the ability to log lots of different kinds of information like tracing, page views, custom events, metrics and more. Azure AI supports multiple platforms, but unfortunately they have not released a Xamarin package yet. There is one library which is for Xamarin.Forms since it uses the DependencyResolver. I have taken that and removed that dependency to make it compatible with Xamarin.iOS. You could do the same thing to use it for Xamarin.Android too if you like. It’s very simple to use, all you need is your instrumentationkey which you can get from your Azure portal. Follow the steps from the MSDN tutorial as you can see here to create the Azure AI instance and get your key. Once done, you could download and reference the repository that I have created on GitHub, as you can find it here. I have not put this as a Nuget package because I am sure Microsoft will release one very soon, so until that happens, you can use this bindings to play around with Azure AI and you could even use it on your small projects.